A notice sent out yesterday by government owned fibre wholeseller & mobile broadband provider, PowerTel, says the company will be disconnecting all unpaid mobile broadband accounts starting today. It’s mobile internet service, PowerTel says, is a prepaid service and customers need to pay in advance of enjoying the $50 flat monthly fee service. That PowerTel has to remind its customers that the service is prepaid, points the fact that this may not be very clear and that some customers may be enjoying the service without paying a cent. Or that customers know it’s prepaid but billing challenges have meant some defaulters still enjoy the service until someone at PowerTel manually suspends them. More that actually. And PowerTel says a new billing system will take care of it. PowerTel procured the new billing system this year and is currently implementing a migration to it, which, they said two months ago, will allow them to bill customers more effectively. Customers will be able to buy recharge cards. We think it’s going to be something along the lines of Africom‘s prepaid mobile broadband. We’re sure they’ll have other payment methods too eventually but nothing has been said on that so far. In the notice (which you can view here) PowerTel said they are currently getting their existing CDMA customers to send in their details anew for registration into the new billing system. If you are a PowerTel customer and don’t know about this, you probably want to get in touch with them to avoid service interruptions. Like the kind TelOne ADSL subscribers suffered late last year. For customers, the new billing platform means an end to the All-you-can eat $50 a month model. The flat monthly was great for heavy internet users, but not so good for the entire network as it’s prone to terabytes-a-month abuse by some subscribers. Without any indications of the new tariffs that’ll come into effect, it’s difficult to say what the net effect on the average subscriber will be in terms of the total price of broadband access a month. PowerTel is one of the 15 POTRAZ licensed Internet Access Providers (IAPs) in Zimbabwe. Finally they think business and drop populist tendencies, finally giving hope for a more reliable network. Thanks for the informative article but whoever did the “proof-reading” for your article seriously failed you my friend. To be honest, this is actually great news. I wouldn’t mind if they increased the price to maybe $75 a month for a 15-20gig cap like Umax. Im actually already loving this new billing system and the disconnections it has made. The network has been running super smoothly for the past 48hrs especially!…Believe it or not but I’ve been averaging 1mbps! !…Speeds I last saw some two years ago on Powertel! I just hope that these new coming prices will not be as restrictive as Econet as if the network remains this fast I can forsee them managing to make profits all whilst keeping the customer happy…a rarerity in Zimbabwe. so who was not paying? now am confused bewteen buying an Africom or Powertel dongle, tired of ecochinyii? I hope this will maximize the speed of Powertel Internet connection!! or its another prey on the innocent and rob them of their hard-earned money. Well done PowerTel, thus the way to preserve your business. I was one of those affected when Telone changed its billing bt ever since lm not enjoying fairly stable network. 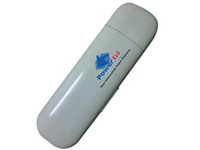 When prices come out, l might consider giving powertel another go. Am I only the only person that can’t connect to Powertel? I’m bleeding megabytes using this Econet dongle! Have you been to power tel to fill in a customer details form ? I went in recently, it seems they simply switched everyone off whether they had paid or not and just waited for people to come in to be reconnected. Power tel account payed up, forms filled and no internet service (going into the sixth day). Congratulations ?